Ah, 80s rock. Hair spray, spandex, studs, leather, bandanas, parachute pants… Okay, while we may not necessarily miss the fashion, we do miss the music. So let’s listen to some of that here courtesy isolated studio tracks from some top guitarists of the era. In darker, heavier rock, one of the big names of the decade was certainly Metallica. While not considered the most technically proficient guitarist of the decade, Kirk Hammett produced memorable riffs that helped cement Metallica’s position as a heavy rock powerhouse. 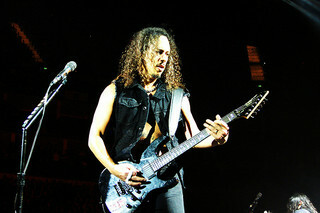 Hammett joined the band in 1983 when the group decided to fire original guitarist Dave Mustaine. Editor Note: Rush tracks are not available at the moment. 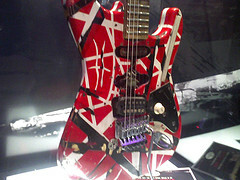 Another talented player who burst onto the scene was Ozzy Osbourne band member Randy Rhoads. 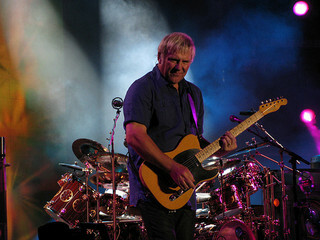 Classically trained, Rhoads also played in Quiet Riot in the late 70s before joining Osbourne’s band and was kno wn for great technique. Sadly, he died at age 25 in a plane crash in Florida. Rhoads had reluctantly agreed to go on a short joyride in a small plane which ended up clipping Osbourne’s parked tour bus and crashed.